Nigeria's government on Tuesday said it had set up a committee to establish how Boko Haram jihadists managed to kidnap 110 girls from their school in the country's remote northeast. 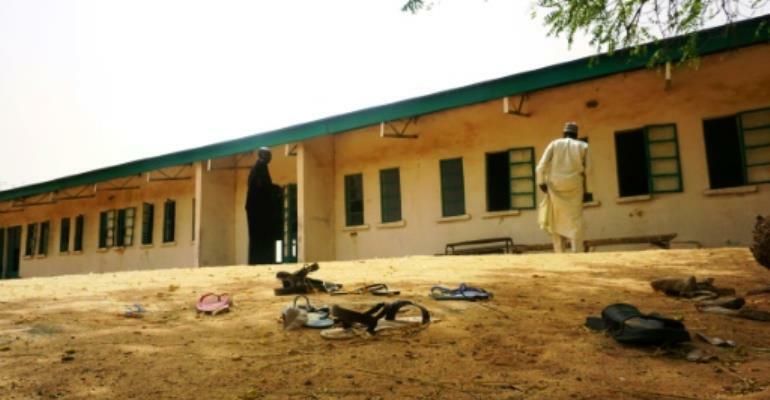 Members of the militant Islamist group stormed the Government Girls Science and Technical College in Dapchi, Yobe state, last Monday, nearly four years after a similar mass abduction in Chibok, Borno state. Thousands of women and young girls have been kidnapped since the conflict began in 2009. Men and young boys of fighting age have also been forcibly conscripted. The 12-member committee will be chaired by a major-general and include senior figures from the armed forces, police, intelligence agencies and the state government. Information minister Lai Mohammed said it would look into the "presence, composition, scale and disposition of security" in Dapchi in the run-up to the attack. Local people have said they were vulnerable to attack as the military withdrew last month, leaving security to ordinary police, who allegedly fled when the jihadists arrived. Police and the military have since argued publicly about security responsibilities in the town. "The panel, which is expected to submit its report by March 15, 2018, is also saddled with recommending measures to prevent future occurrence," Mohammed added in a statement. As of 6 pm (1700 GMT) Monday, the Nigerian Air Force had flown a total of 200 hours as part of the search operation for the girls, who are aged 11-19, the government said.